Since 2002 Omega has been helping national clients to improve synergy across their organisations and solve complex problems by offering a broad range of collaboration solutions. While providing these solutions remains an essential component of Omega’s lineup, we’ve expanded our list of services to include a dedicated consultation offering that aims to facilitate connected workspaces and optimise collaboration across your business. A new cornerstone for our company is our Collaboration Ecosystem which includes five ‘pillars’ that our consultation services are based around: Unified Communications, Video Conferencing, Audio Visual, Workspace Management, and Digital Signage. 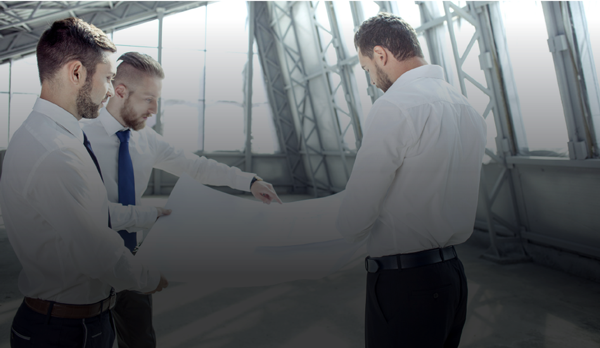 With this in mind, we will handle all aspects of your collaboration project from start to finish – ranging from consultation and conceptualisation to execution and installation. Our twin goals are to translate objectives into actions and to promote overall effectiveness as part of each step of the consultation process. We always strive to ensure that the consultation processes we employ and the collaboration technologies we implement are world-class and cutting edge. In this regard, we draw inspiration from overseas examples such as the futuristic Edge building in Amsterdam which is a great example of what consultation can achieve when performed effectively. The office block is currently rated as the most eco-friendly building in the world and involved the best minds in the consultation business coming together to bring this mammoth project to fruition. It is examples like these that we draw upon to further improve our expertise and consultation acumen. A key aim of our consultation services is to bring about a “connected workplace” or collaborative environment that enables fast communication, information-sharing in real-time, and the ability to seamlessly work together from remote locations to solve day-to-day business challenges. We are excited to be able to provide you with specialised consultation services that help you maximise your investments in people, technology and office space. Whatever your collaboration consultation requirements, consider working with a partner that has allowed many companies to achieve a connected workplace.